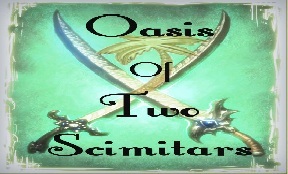 UbaraJucyOfScimitars: do you Wulf at this time wish to pledge your very life to the HS of the Oasis of Two Scimitars ? UbaraJucyOfScimitars: now turn to each as we would welcome you with the final words Sa Tar Gor ! UbaraJucyOfScimitars: Sa Tar Gor ! erisOasisScimitars: Sa Tar Gor ! Marbrouk Maulan Blacksmith. Well done. Well done Brother! We are happy to have you in the Oasis.